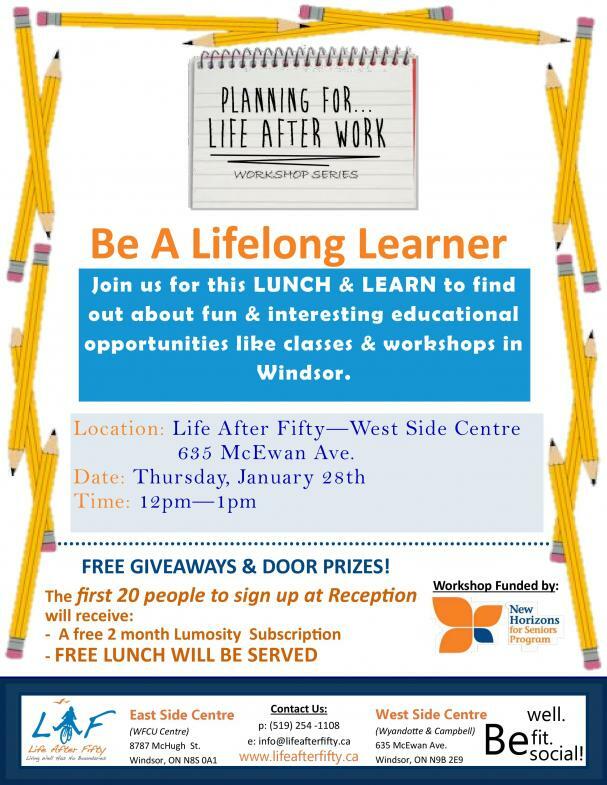 Join us for this LUNCH & LEARN to find out about fun and interesting educational opportunities like classes and workshops in Windsor. Find out how you can make a difference in someone's life in 2016. 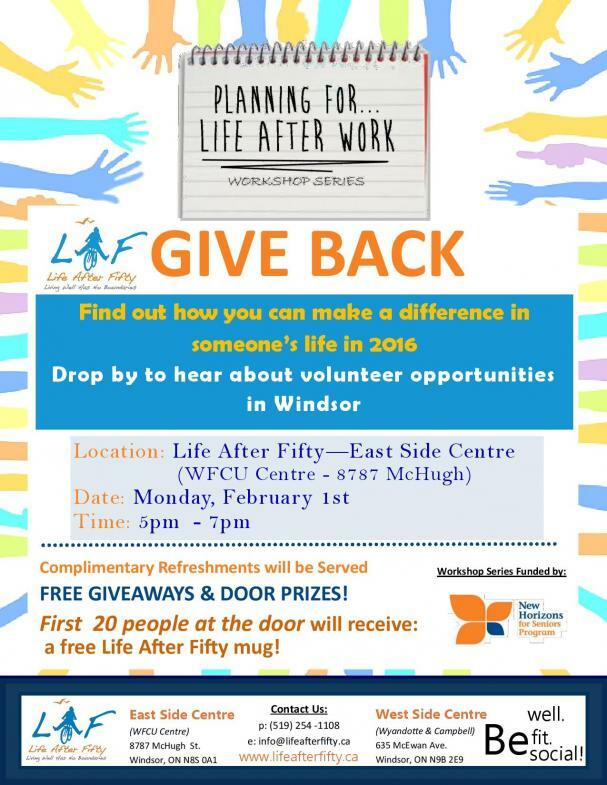 Drop by to hear about volunteer opportunities in WIndsor. Join us for this fun "Afternoon with the movies" as we enjoy delicious pizza from Dominio's and sit down to watch a brand new release "What We Did on Our Holiday" comedy starring David Tennant, Rosamund Pike and Billy Connelly. Please purchase tickets by Jan 25.